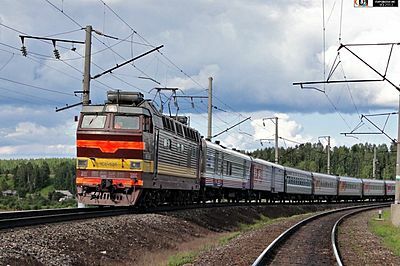 Pomorie (Arkhangelsk) train, Buy Pomorie (Arkhangelsk) train tickets online quickly and easily. Direct trains from Moscow to Arkhangelsk were launched in 1913 after a railway bridge across Volga river was built in Yaroslavl. In 2003 Pomorie train gained the status of 'firmenny' (branded). The train operates on Moscow to Archangelsk route on odd dates and on Moscow to Severodvinsk route on even dates. 1st, 2nd and 3rd class are available on the train. 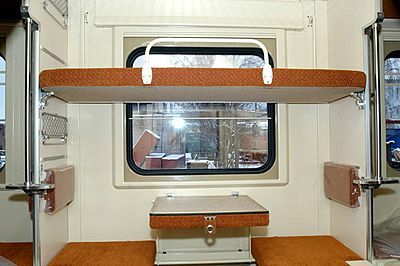 1st class cabin has two lower berths, a table and a 220V socket. Bed linen, personal hygiene set and newspapers are inluded in ticket price. 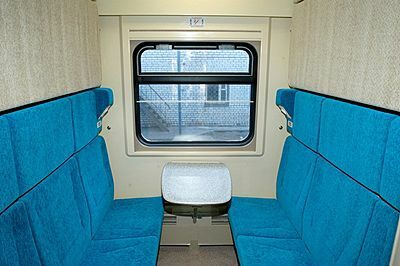 2nd class cabin has two lower and two upper berths, and a table. Bed linen is included in ticket price. 3rd class is an open car with sleeping berths. The train also has a restaurant car with a wide choice of meals that can be ordered to the cabin.